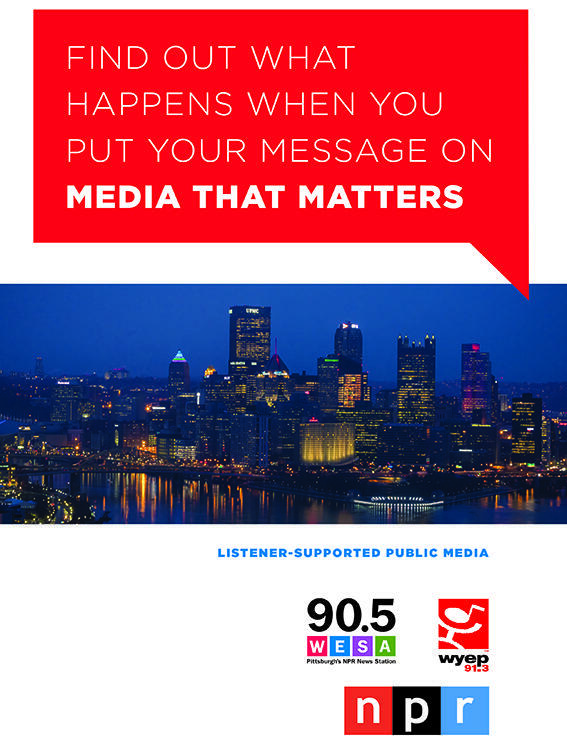 Pittsburgh Community Broadcasting Corporation (PCBC) is an independent, locally-owned, community-supported public media organization and is home to 90.5 WESA, Pittsburgh’s NPR News station, and 91.3 WYEP, where the music matters. PCBC serves the more than 2 million residents of Pittsburgh and its surrounding communities by leveraging the power of media to inform, inspire, and entertain. We engage audiences and cultivate conversations that strengthen, enrich and improve the communities we serve.